NBA Lockout negotiations are about to get dicey. There is a deal on the table, there are deadlines and there is incredible uncertainty. For those keeping score, the regular season was already supposed to have started. So the main takeaway from all this is that, plenty of people dropped the ball. I spent 5 years in investment banking, and another couple of years floating around the mergers and acquisitions world. I have had the privilege to work with some self-professed studs of negotiating, barbarians at the gate, slick talking, rain making, and gods of the deal game. Usually, I had other choice words to describe some of those people. I created tedious excel sheets that tracked every correspondence that we would have with potential buyers. Significant amounts of time and energy would be placed on making elaborate projections about where the business would go and selling the vision for the company’s future. I also had to make sure that when a potential buyer met company management, that all of the name cards were properly folded and placed in very feng shui manner. Laugh if you want, but I was an investment banking analyst and proud of it! In retrospect, I can’t possibly imagine why I didn’t have more dates lined up for my weekends when I would roll out of the office at midnight on a Saturday … strange. Unfortunately, I did not work at J.T. Marlin, and wasn’t dripping swag like Ben Affleck in Boiler Room, “You Want details? Fine. I drive a Ferrari, 355 Cabriolet, What’s up? I have a ridiculous house in the South Fork. I have every toy you could possibly imagine. And best of all kids, I am liquid.” I double checked, and that’s a quote from the movie and not exactly how Mark Cuban and Michael Jordan started negotiations with the players. 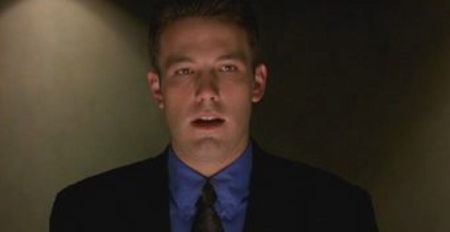 Top 5 role of Ben Affleck's career. So all that being said, I feel I am uniquely qualified to analyze how things have gone so incredibly wrong for the NBA, and why we will have a deal very shortly. Whenever bankers have a company that, shall we say, has more issues than one of the umm…women..on Basketball Wives, we would immediately go towards the belief that extrapolating the best value would be to generate “competitive tension.” In other words, lets create the perception that there a lot of people interested in this turd sandwich…umm I mean company. Think about it, instead of the United Center, you’re in some random gym in Europe, where there may or may not be enough security to prevent the crowds from throwing random garbage on you and worse. Also, how about sharing hotel rooms w/ teammates, instead of the usual veteran NBA groupies. On a side note, you haven’t lived until you’ve waited until after an NBA game ends and you see Hoodrat Central congregate by the entrance tunnels. I keep telling everybody, the NBA is faaaaaaan-tastic! The owners know this, the fans know this, and most of the players know this. It is Billy Hunter’s job to broker the best deal possible under these circumstances. Not sure what the holdup is. Currently, we’re basically talking about a 50/50 split on the BRI, and all sides are a little irritated. That sounds like compromise to me. 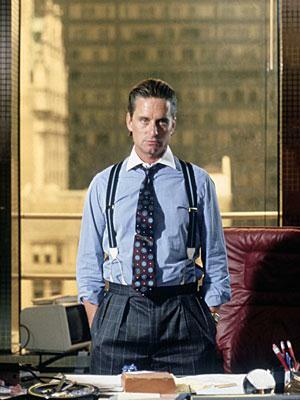 We are one more bad press conference away from David Stern pulling a Gordon Gekko from the original Wall Street and screaming: “You’re walking around blind without a cane, pal. A fool and his money are lucky enough to get together in the first place.” Taking a puff of a cigarette, screaming “Let slip the dogs of war” and having an army of IRS agents descend upon the players and their agents. Shoutout to Jacob the Jeweler!!! (feel free to google the reference at your own leisure). Taking a page from Steven A. Smith, the owners cut the checks, they’re the billionaires and ergo they have the leverage plain and simple. You can dress up the situation as much as you want, but at the end of the day billionaires tend to have more financial means than millionaires. Especially when the millionaires are in their early twenties, and tend to spend money like it is going out of style. I’m not blaming them, when bonus season at the banks comes around let’s just say tailors, car dealers and strip clubs have a healthy influx of business and incredibly suburban, sickly, sleep deprived kids walking around the city saying things like “making it rain” and “stunting”. I can’t imagine what it would be like to be awesome at basketball, have an entourage and women at your beck and call. So, I am not mad at any of them for having some spending extravagances.